This, the second of our Valentine’s Day Passion Potions, brings back memories of the first stirrings of romance we all felt when we had our first secret crush. 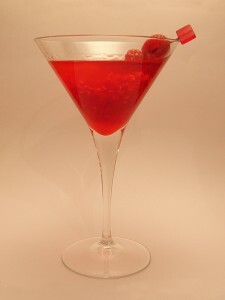 In a cocktail shaker or small bowl muddle the peach schnapps, grenadine and 4 fresh raspberries until well mashed. Add raspberry vodka and crushed ice. Shake well then strain into a cocktail glass. Garnish with fresh raspberries.